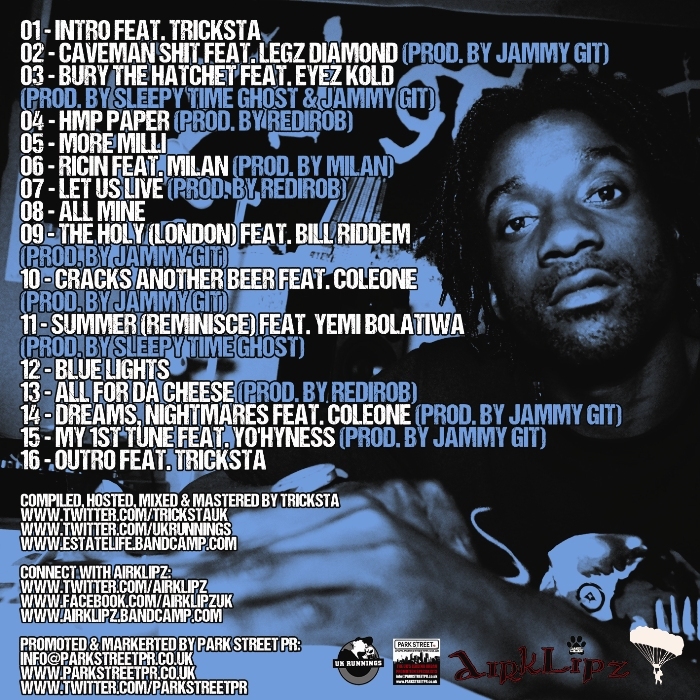 Tricksta and his UK Runnings mixtape series have really changed gear this year and in addition to hosting various UK rappers mixtapes and starting the weekly mixtape series #EstateLife, they are now re-launching Homegrown Heroes, an artist based mixtape series that will showcase various talent from the UK Hip-Hop scene. Kicking off this new wave of mixtape releases comes a superb mixtape of killer tracks and rarities from South London native Airklipz. This versatile rapper has a unique style that is based on constant experimentation as he chooses to pen songs about actual events which happen around him. Airklipz is a true definition of UK Reality Rap with an impressive work rate, releasing over ten mixtapes in the last five years. ‘Unpolished Gem’s is a sixteen track mixtape hosted & mixed by Tricksta that features guest appearances with Legz Diamond, Eyez Kold, Milan, Bill Riddem, Coleone, Yemi Bolatiwa and Yo’hyness, as well as original production from Jammy Git, Sleepy Time Ghost, Redirob and Milan. 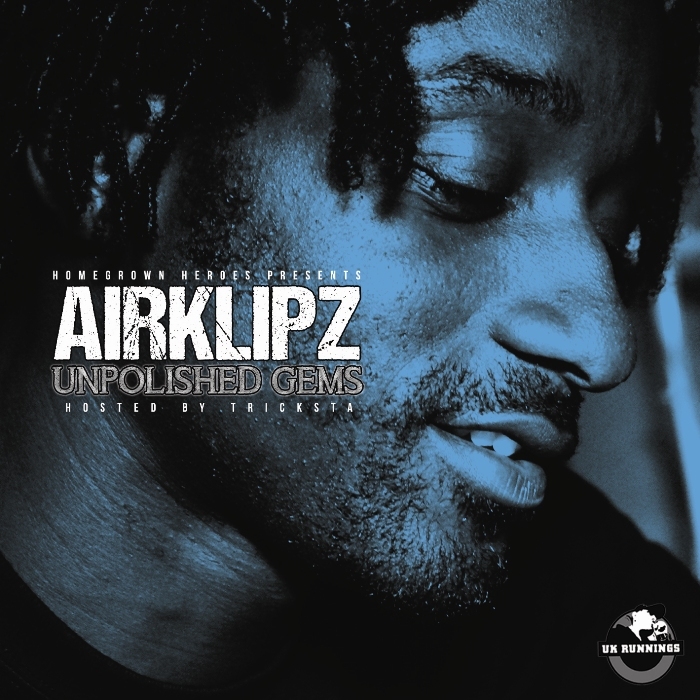 This mixtape is a must for any fan of Airklipz, as well as being the perfect introduction to him if you’ve been sleeping! 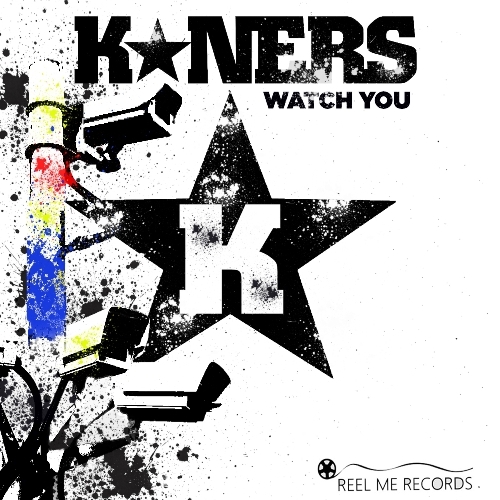 In the lead up to KNers long awaited album ‘V.O.T.C (Voice Of The City)’ signed to Bristol’s urban heavyweight label Reel Me Records, we are proud to bring in proceedings with what can only be described as a summer anthem, “Watch You”. K*Ners has proven himself again to deliver another slice of UK Hip-Hop that is guaranteed to get your attention. Mixed and mastered by Kosheen and complete with a video that brings in the eclectic street life and folk of london, this release has the ingredients of becoming the perfect debut release for his up and coming album. this track is already causing a stir with tastemakers up and down the country and has a release date of Sun 25th May, 4 weeks Pre order Sun 25th April. The bonus track, “Mama Part II” is a heart felt accompaniment that delves deep into the thoughts and feelings have have been with K*Ners regarding the passing over of his much loved mother to cancer, this is why we give you this press release on Mothers Day.